Today’s post is by our guest author Brian M. Fraley, Founder, Manager and Chief Strategist for Fraley AEC Solutions, LLC. Video is trending upward in marketing. Did you know that YouTube is the 2nd largest Internet search engine? The truth is that it was always powerful. Video offers a way to promote your business in a living, breathing multimedia format. Why the sudden spike in popularity? Video has become more affordable thanks to free software, for one. Secondly, the way we learn about brands in a society overwhelmed by information has accelerated the shift toward quick consumption methods like video. And thirdly, there are opportunities to increase your Internet search rankings and engagement by placing it on your website. Project stories are powerful. Project stories in a video format can deliver even more oomph. There are many approaches, but consider a narrator to describe the project, brief interviews with key people, and footage of the work in progress. Keep it to three minutes with tight editing. Outsourcing this work is your best option since it requires a variety of shoots and professional editing. Think of corporate video as a multimedia company brochure. This type of video provides a holistic look at your firm. Never attempt to produce a corporate video in-house unless you employ a professional videographer. You need proper lighting, editing, effective storytelling, and preferably a professional voice-over. A corporate video can become the lynchpin of your marketing efforts. Post it on your website. Share it across social media. Hand it out to customers at trade shows. The distribution options are endless. One of the more creative uses of video I’ve seen recently was a civil engineering firm showcasing its High-Definition 3D Laser Scanning capabilities via in-house video. The videos include point clouds of bridges, tunnels, buildings, and even train stations. They literally rotate the image and clean up the points over music. What type of technology do you have that you could demonstrate? This type of video can be accomplished in-house with iVideo or some other type of video production app or software if you have the time, talent, and inclination. Instructional videos, while they haven’t been embraced by the A/E sector, are common. The odds that you have gone to YouTube and viewed one to learn how to do something are high. I like the potential for the A/E industry because of the technical nature of the work. How can you use your expertise to educate your clients, whether they be contractors, facility managers, or developers? A treasure trove of possibilities exists. The potential exists here to produce the video in house if you can do it professionally. The A/E firms I know are often reluctant to request written testimonials. Asking a client to sing your praises on video is an even heavier lift. It is, however, incredibly powerful. A video testimonial is even more powerful than a written testimonial. The rationale is that your firm must have really impressed the client to coerce them into physically standing in front of a video camera. Identifying the right subject is critical. Your client must not only be willing to accept the role. They must also have a professional video presence. Are they polished? Well spoken? Likeable? More egocentric clients will welcome the opportunity. Introverted folks; however, are likely to decline but it doesn’t hurt to ask. Admittedly, video blogging is a stretch for the A/E industry, but it’s being done actively in other markets. If the name isn’t self-explanatory a video is a blog delivered by an individual in a video format. The fact that it’s uncommon in the A/E sector would allow your firm to be different and memorable. Video blogging can be done-in-house, as long as it doesn’t look to crude. Use a tripod for stability, and proper lighting and sound quality. The polish of your subject is debatable in this format. The argument has been made that an authentic, and even colorful delivery, can be a powerful branding tool. That debate must be settled within your firm. What is your legacy? Conservative? Cutting edge? Unconventional? At the end of the day, you must convey your firm’s unique personality. Whether a major anniversary, open house, or a groundbreaking or topping out ceremony on a major project, video can effectively promote and memorialize these landmark events. Hiring a professional is a must here because of the complexities. You want to capture effective footage and interviews with proper lighting and sound quality, and package it up with tight editing. A landmark event video is one step down from a corporate video. Let’s close out with some suggestions on hiring the right firm or videographer if you decide to go professional. It’s advisable to hire a firm with knowledge of the A/E sector. Generalist professional videographers can provide a nice video, but they don’t understand the nuances. Was on OSHA violation occurring on site? Is the story properly told within the context of the A/E sector? Will the video appeal to your target audience? Only a firm with knowledge of your industry can address these points. The options listed above are not conclusive. 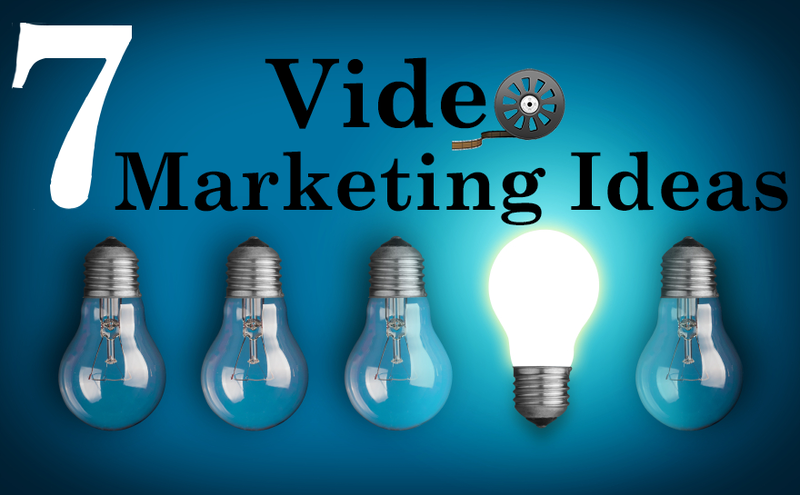 There are opportunities to mix and match, and even devise unique video marketing strategies. Pare down the options to the one that will deliver the best return on investment for your firm. Whatever path you choose, video will be a worthwhile investment for marketing your firm. Brian is the founder, manager, and chief strategist for Fraley AEC Solutions, LLC, a marketing communications firm that builds solutions on a foundation of industry understanding for the Architecture, Engineering, and Construction (AEC) marketplace. He can be found on LinkedIn, Twitter, Google+, or at the firm’s AEC Straight Talker Blog. 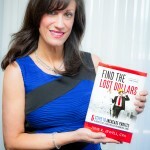 Schedule your Find the Lost Dollars Consultation with June Jewell, CPA, author of Find the Lost Dollars: 6 Steps to Increase Profits in Architecture, Engineering and Environmental Firms.